coming from, I thought, my headboard, right under the window! while imitating the sound I had heard. THERE! 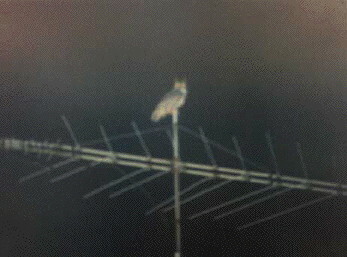 On the tv antenna across the street! Unbelieving, I watched him/her sitting motionless, watching me. I HOO-HOOed some more; s/he responded in kind. I thought I was dreaming, but the cold of the night told me otherwise. before s/he swooped over my head and flew away. a faint "whoosh" of air through its wingfeathers. but I was too enthralled to think about my safety . 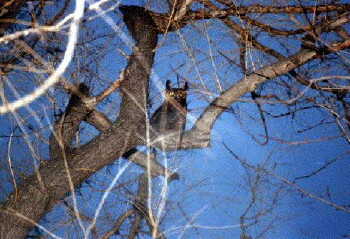 . .
or what any neighbors who might look outside at 2:00 a.m.
and s/he swooped over my head several times. 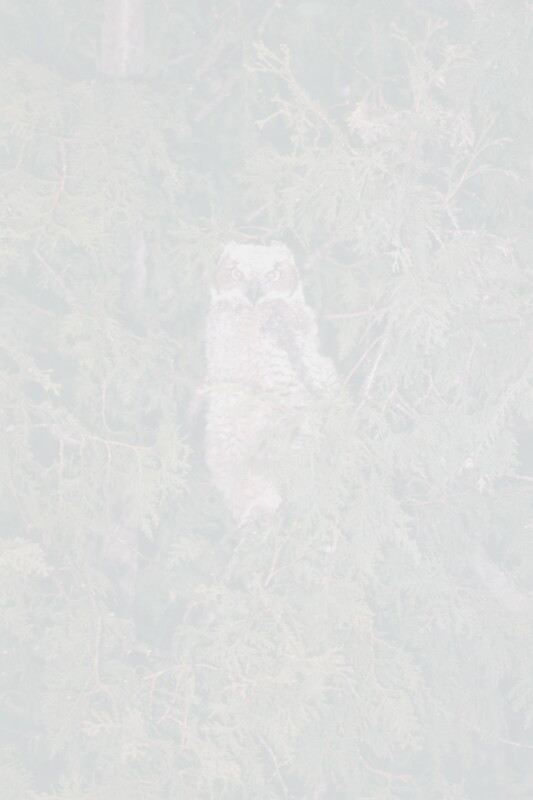 (I read later that Great Horned Owls are known as "Flying Tigers"
a person's hair and scalp with their talons. on the tv antenna of the house behind ours. the antenna started rotating. The owls flew off. 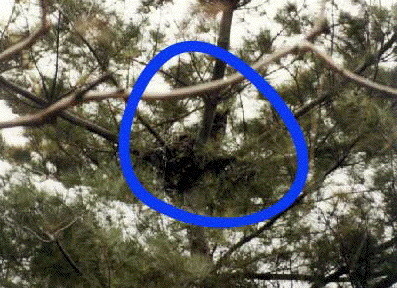 that we had a pair of Great Horned Owls in residence. so we were sure the pair had moved from that area into ours. next to our neighbor's house! for watching the owls' activities.